Neil Lennon has given Leigh Griffiths a six week target to return to action. In normal circumstances a cup final appearance against Hearts would be one that would be guaranteed to have the striker playing out of his skin to be involved in. 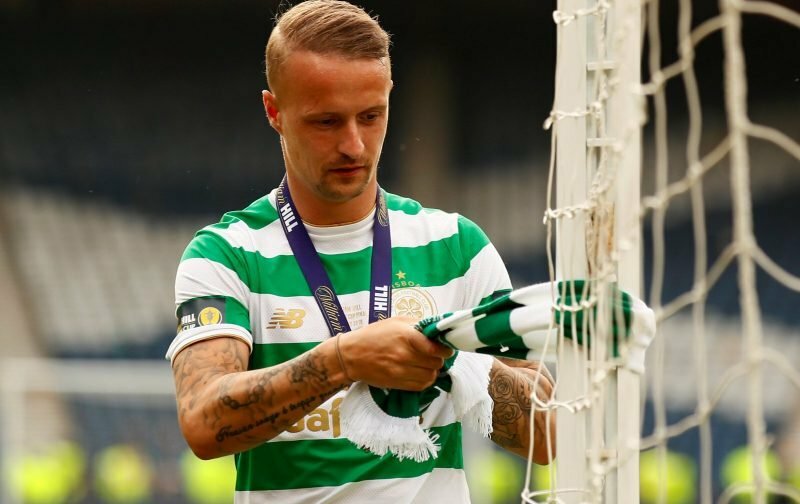 However after stepping back from football at the start of December for personal reasons Griffiths’ possible appearance at Hampden on May 25 is more complex than issues relating to form and fitness. The striker has been back training at Lennoxtown for three weeks but has still to be pictured involved with his team-mates. Celtic have been heavily reliant on Odsonne Edouard throughout the season with Lennon hoping to have Griffiths back on an individual basis and also adding competition and options to his squad. What have we got? Six weeks. Yeah. It’s realistic for him. He’ll have to play and train at least two weeks going into that, so he then has a target of four weeks. He’s had targets. He’s working away in the background and doing his double sessions. He’s a player we could have been doing with over the piece as we have been working really with one striker (Odsonne Edouard). That one striker has done brilliantly for me, but it would be good to have another one in the building. He’s getting there. It’s a slow burner, but we understand that as he’s been out for such a long period of time. It’s going to be difficult for him to get into the squad with the way the boys are playing,” he said. “There are a lot ahead of him and have earned the right to play in a cup final. Celtic have two more Reserve League matches to play before the season ends with the final SPFL match also against Hearts, at home on Sunday May 19.